It’s been 10 months. We’ve battled snow and sleet. Pushed on through wind and rain. Conquered heat-waves and glaring sunlight. No, we haven’t been doing some mad trek across the globe – this is just the mix of weather we have faced in England this last year as we’ve been making out newest film ‘The Field’. We are now happy to say that, after all that time and all of the hard work that has been involved, ‘The Field’ is finally complete. Yes, in the last few days we fixed any discrepancies we had in the visuals and the sounds. We wrote our opening and end credits and we created our Berry Productions Logo to top and tail the film. Complete. Bliss. Except of course for rendering. Anyone that has ever made a film in the digital world will understand what I mean by the term rendering. Anyone that doesn’t… it’s a bit like waiting for a bath to run. You really want this bath, in fact you can’t do anything until you have a bath. And as it turns out this bath is huge and takes a really long time to fill! Rendering aside, we’re good to go! Go with what? Well first things first we have a Première of the film this Sunday 6th October in our hometown of Hull, East Yorkshire, UK. If you’re in or around Hull on that date, feel free to come along. Click on this lovely little link to take you to our Facebook event for more info. If you’re reading this past that date, we’ll be having another showing in Hull so please keep a check with us on Facebook or Twitter! Now the hard work begins. Promoting our film is the next step and it’s a HUGE one. We’re going to hit all the major festivals and distributors. 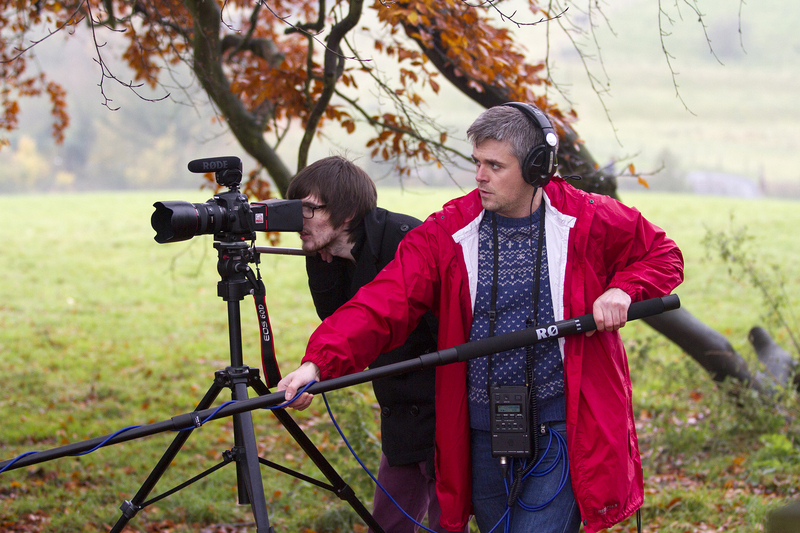 Anything to help get ‘The Field’ seen and hopefully put us a step closer to some funding for a feature film! Any help that anyone can offer in this department will be much appreciated! And of course, please keep watching and sharing out Teaser Trailer on YouTube, help us get to 1000 views! There will be some interviews and clips from the film coming very soon so keep checking back with us! Someone recently asked me if I could name 26 different things to do with myself, but each thing had to begin with a different letter of the alphabet. ‘Easy,’ I thought. Until I reached X and Z. Xylophones and Zebras don’t really have anything to do with me but I managed to blag them into my life somehow! 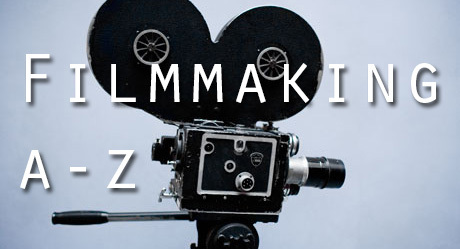 This got me thinking of making an A-Z list of things to do with filmmaking. So here is my list, filled with happy links to relevant sites and blogs for you to become a goose and gander at! Actors! Vital, of course, for every film, but even more so for indie filmmakers with little or no budget. There’s nothing worse than watching a film with bad acting! The truth is, that friend of yours that looks like he could be the Android Pig Farmer from Mars who has come to Earth to enslave the Human race, although potentially could look like an Android Pig Farmer from Mars, probably can’t act like one! Find local actors, there are plenty of groups out there, many of whom are starting out like yourself and are willing to work for cookies and something to go on their showreel. Please also cast the correct aged person for your roles as well! Too many times, and especially with younger filmmakers, do I see young people cast as characters that in the real world would be a lot older. Bumfluff Mike who you go to college with won’t be right for Colonel Frank Frisk, who is head of the armed forces about to take down that bloody pig farmer! 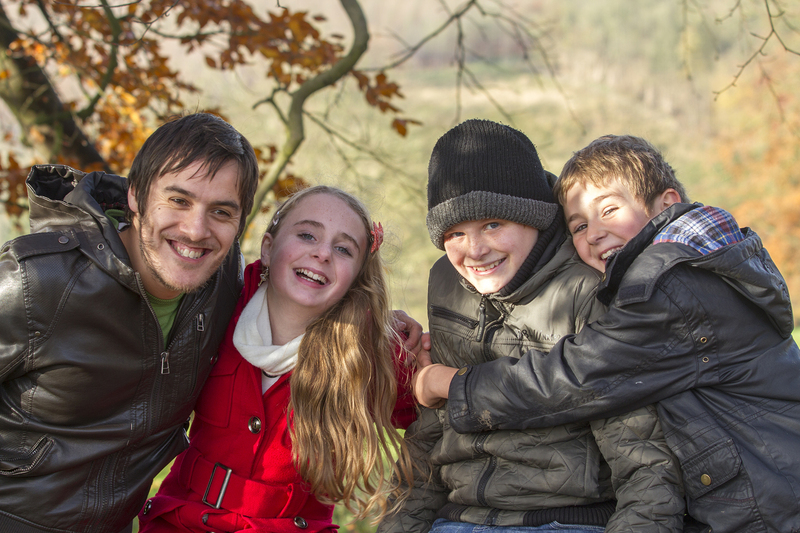 Check out the actors in our new short film ‘The Field’! Berry Productions! What else! Berry Productions is my little indie film company consisting of a talented group of writers, directors, camera and sound operators, actors, editors, musicians and a whole bunch of other clever little skills that people need to make films! In our little city of Hull in the North of England there really are not the same opportunities to filmmakers to make a name for themselves. Which is why we’ve had to learn that the only way we’re going to make it is to keep on going – keep making films, keep writing scripts. Sure, we’re skint (aren’t we all) and sure we have to battle through the day jobs till the weekend when we can continue our dreams (don’t we all!). But if that’s what you’ve got to do then that’s what you’ve got to do! Christopher Nolan made his first feature film at weekends whilst working full time during the week. It possible, but it’s bloody hard work! Check out some of our older films here! Camera! Ok, an obvious one this. You can’t make a film without a camera right? Right! And you can’t make a film without the best camera with the most expensive lenses that the world has ever seen right? Wrong! The truth is that you can make a film on ANY type of camera be it your family camcorder, mobile phone camera, webcam… or of course the best camera with the most expensive lenses the world has ever seen! The trick is to have a good story to tell and then be creative with your shots. Let’s face it – every film starts off with a story and that story, plus your brilliant actors, are the key points to making your film a success. What you shoot it on really depends on what it required for the film. Could you film your action-packed sci-fi epic with exploding buildings and car chases through LA on your iPhone? Probably not. But do you need the best camera in the world to film your heart-felt, realistic view of a woman’s struggle to find the TV remote down the back of the couch? Again, probably not. It’s all about how you use the camera and the interesting shots you can capture from it that will make your film stand out from the crowd. Directing! If you’re a director then it’s you vision of the script that is going to bring this film to life and make it great. This also of course means that it’s also your vision that could make this film flop and end up at the bottom of YouTube’s search pile. 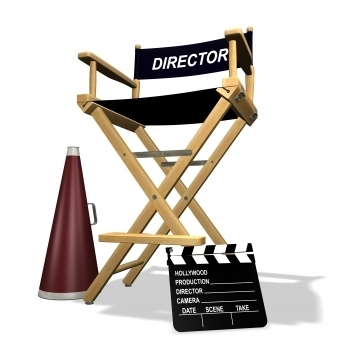 What is different about you that is going to make your directing style stand out about the crowd? What is different about your style that is going to make your film be a hit? How are you going to get your cast and crew working together to make the magic happen? How are you going to translate that script into the best film that was ever made? The best advice I can give is to try and not do it alone. The best directors in the world have a lot of people around them, going over and over the story, helping them to create a style for the film and make it work. Of course on the other hand as the saying goes, ‘too many cooks spoil the broth’. You have to know how to ask for help and who to ask it from depending on what you need. The way I direct is quite simple – everything, and I mean everything, is planned out beforehand with with my crew so when we get on set the only thing I have to really worry about is directing the actors. And above all else I try to keep it fun and make sure everyone enjoys themselves! 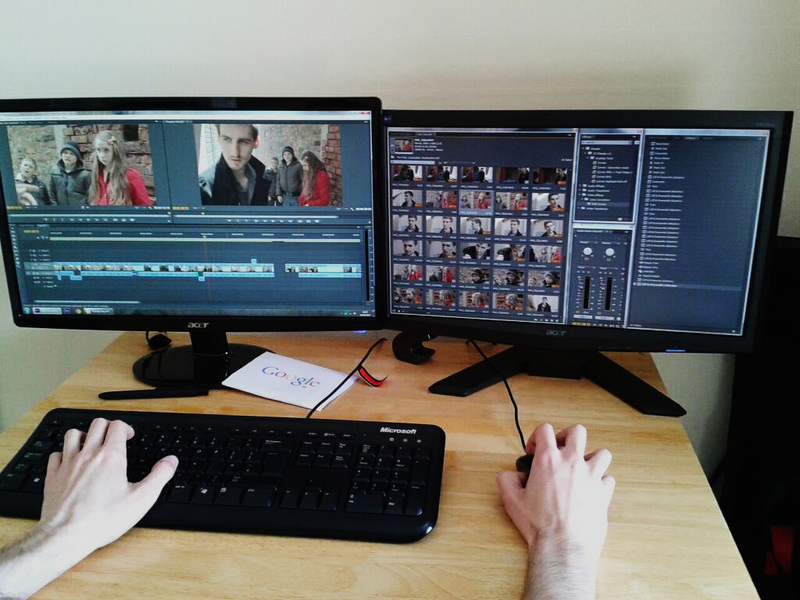 Editing! The anti-social side of filmmaking (aside from screenwriting of course!) The best thing an editor can do is grab the people shooting the film and scream at them ‘DON’T FORGET ABOUT ME!’ Yup, there’s nothing worse than getting the rushes back to edit only to discover that editing them together is going to be like you’re getting dragged through hell by your hair! Life for an editor is a tough one. Hours staring at a computer screen – but hey, at least in this modern world we all have computers and can get access to great editing software at reasonable prices. We do all of our editing on Adobe Preimier Pro and Adobe After Effects – I suggest you check them out! The best advise I can give to maximise your time, is to make sure you go through all of the rushes first – I know, it an be boring as hell, but log the best takes and save you scrawling through the clips at another point. And label everything so you don’t get lost! Better still… get someone else to do all that for you! And when you’ve got a rough edit together, leave it for a day or two and come back to it. There is always something you’ll want to change! Film Festivals! I love film festivals, mainly because I love films so much! There is so much talent in the world that it deserves to be seen. 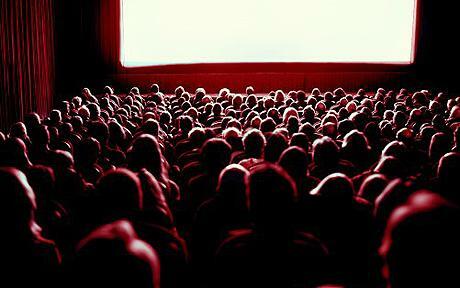 Most cities and even a lot of towns now have film communities that hold regular or annual film screenings or festivals. As film lovers (which, let’s face it, if you want to make films then you must be) you should get to see as many as possible – not just the ones your film is showing in! So why should you enter your film for a festival? They’re usually expensive to enter, you’re not guaranteed to be accepted and even if you are then you might not win or end up with that multi-million film deal right? True. But if you’ve taken the weeks, months, years to make your film then you surely want people to see it? When you’re planning your budget for your film, think in advance and try and save some pennies for the festivals. Yes they can be expensive to enter but really worth it! Just getting to see your film on the big screen is an amazing experience. Plus, many festivals are a great place to network, meet other filmmakers and actors who may wish to work with you in the future. And you never know… that film deal, or at least distribution deal, could happen. But it won’t if you don’t enter! 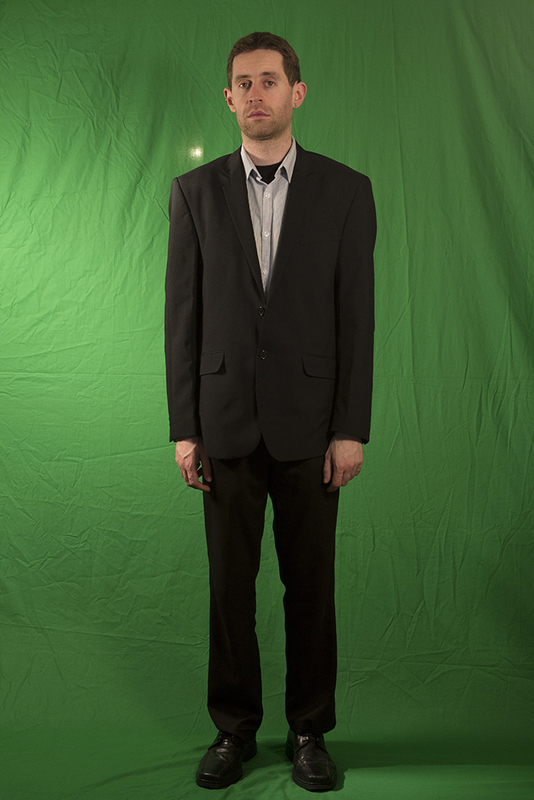 Green Screen! I love green screen – when used correctly! 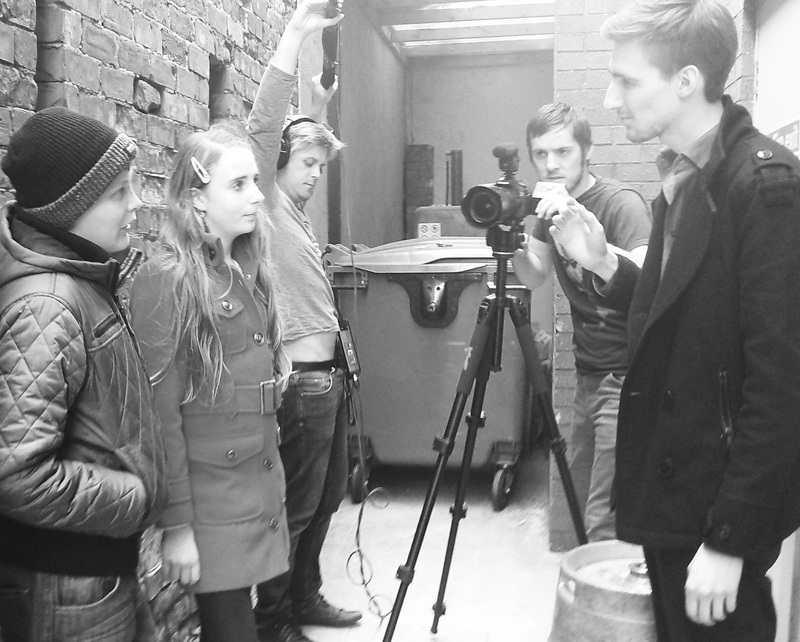 With my film company Berry Productions, we go around primary schools providing filmmaking workshops for the children. The best way to make films films with the children is have them acting in front of a green screen allowing us to put them in whatever location is needed. Sin City style – but not Sin City content… that would probably get us fired! Green Screen is used in more films than you probably even realise. Unfortunately it is often used very poorly – especially in indie films, and surprisingly in many major Hollywood blockbuster. We’ve all seen it. There is no excuse for a bad use of green! Heli-Cam! We can’t afford helicopters to shoot aerial footage unless we’re Richard Branson. 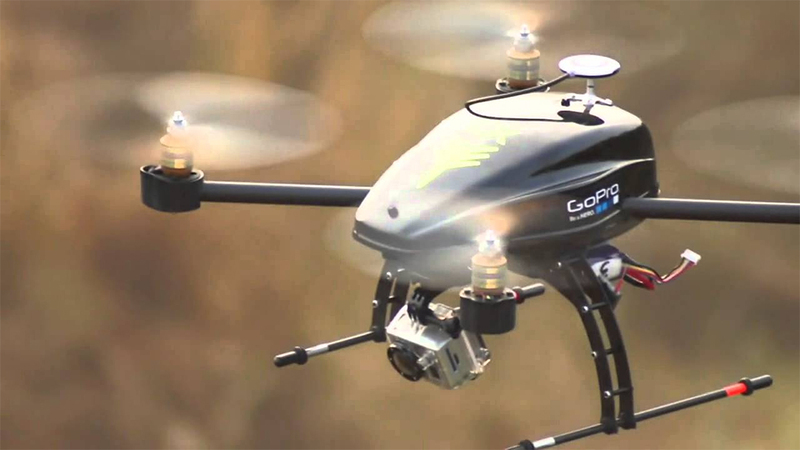 However there is a new spate of capturing aerial footage using remote control helicopters or Heli-Cams. Using small HD 1080p cameras, such as the GoPro camera, attached with stabilised rigs, some of the footage that has been appearing online is amazing! Great aerial footage at a reasonable price? Sound good to me! Indie Film! 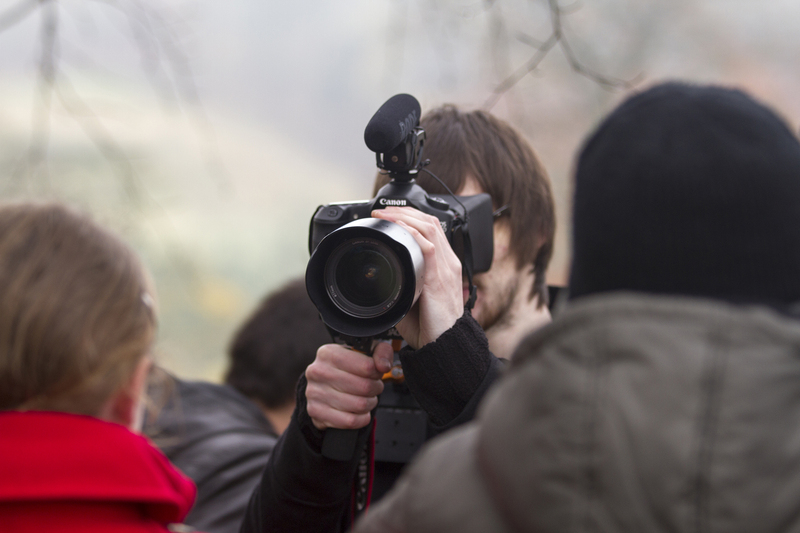 So what is Indie Filmmaking? This is one of those questions that everyone seems to have a different answer to. We all know that making a film with a zero budget, shooting it on your mums dentists camera and bribing all of your mates with jellybeans to get involved, technically makes you an indie filmmaker. But then ‘The King’s Speech’ istechnically an indie film too and I’m pretty sure Colin Firth didn’t get paid with jellybeans. Keep supporting indie film. We all complain about the quality of ‘Hollywood’ films – indie is the future! Job! As in ‘don’t quit your dayjob’. And the saying is correct. You’re not going to become a sensation overnight. Your dreams of fame and fortune, although could possibly happen, aren’t going to happen any time soon. Stick to what you know, work hard to earn money then work hard spending that money on making your film! I am a strong believer that if you work hard at your dreams then they will eventually come true in at least some form! Keep your day job for now because eventually you’re day job could be doing what you love! Kramer. Andrew Kramer. 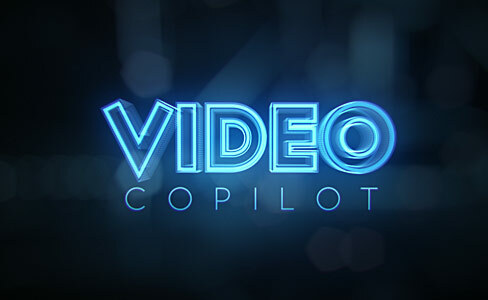 Where would we all be without Andrew Kramer and his video copilot tutorials. With today’s computers its so easy to make digital effects for your film. This of course makes it easy to add some very bad digital effects. Don’t fill your film with fancy effects just because you can. Subtlety is the key when it comes to effects. Lighting! As indie filmmakers we can’t afford many things. Food being one. Rent often another! One thing we need to spend our cash on though is lighting. 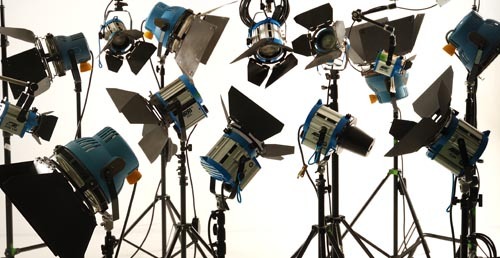 Lights are something that is often overlooked but will really make a huge difference to the production of your film. A perfectly lit scene will make its value boom. However that word ‘perfect’ is a tricky thing to get right. Too much light will blow out your image, not enough will make it too dark. Light in the wrong positions will add the wrong feel to your film, or make it look as though random light is pouring in from an unknown source. Music! 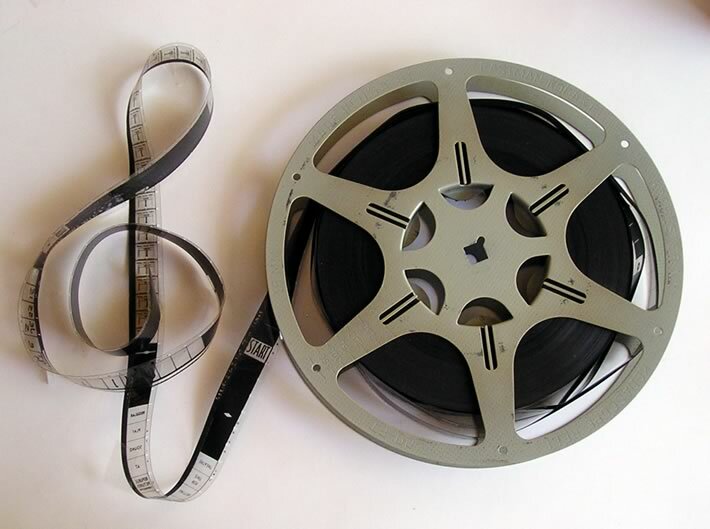 One of the things that lets down indie film is bad music. Or not necessarily let’s it down but doesn’t make it stand out from the crowd – usually because they’ve used royalty-free music they’ve found on the web. Generic ‘movie’ music that could possibly have been used in someone else movie already. You need to get some personality in your film. You’ve spent so long planning, shooting and editing the damn thing you need to take the time on the music as well. However, remember if you’re going to use any other music you need to get your copy-write clearance. One of the major reasons good films are rejected from festivals is a lack of clearances. If you managed to sell your film distribution and not cleared copy-write then you are going to be in big trouble! My advice – find someone who can make it for you. If you’re not blessed with musical skills yourself, or don’t know anyone who would be interested to do it for you, then hire someone who can. But get the right people – the wrong music for your film will ruin its chances! Hope this helps you in your filmmaking – check out part 2!